Eweka takes the same approach as most other Dutch Usenet companies by offering newsgroup plans based on speed. They have two simple plans. The first is a 50 Mbit plan. For those who want a faster connection they also have a 100 Mbit plan. Regardless of which plan you choose, all members have access to 2,500+ days of binary retention in 100,000+ newsgroups. Currently 2072 days of binary retention and over 10 years of text retention. We have found, perhaps more importantly than binary retention, that Usenet binaries are not subject to the same process of DMCA auto deletion, thereby making article completion much better. Binary Retention – they provide 2,500+ days of binary retention across 125,000+ newsgroups. They continue to grow retention on a daily basis. With 99.5% completion the service is quite reliable. Speed – we cap at 40 Mbps which is below Eweka. They offer unlimited Usenet downloads at up to 50 Mbps with all accounts. With the option to step up to a 100 Mbit account. The upgrade is free for those signing up through our site. 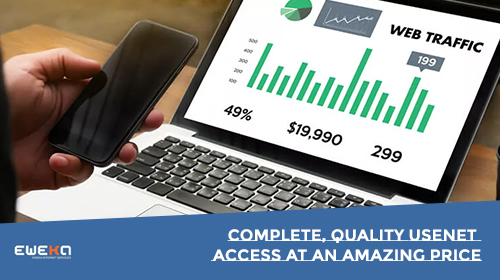 If you can take advantage of that much speed then Eweka is a great choice.Connections – they include up to 8 connections with their plans. Not to be confused with other providers offering 50+ connections. Connections are more for marketing purposes. You only need enough to max your ISP allowance. Eweka can max 50-100 Mbps with 8 connections.Security / Privacy – they offer free 256-bit SSL encryption to all members. We highly recommend using SSL via port 563 to help protect your privacy while downloading from newsgroups. News Servers / Ports – Connect to newsreader.eweka.nl for binary Usenet access using port 563 (SSL) or 119 (standard). Eweka also has newsreader for reading text groups and upload.eweka.nl for posting to text newsgroups. They also support IPv6.Support offers several tech support options. The first being live chat support. You can also submit a ticket via their support page. In addition to phone support at +31 (0)72 8500777. Eweka is our favorite Dutch Usenet provider. Their binary retention far exceeds other services located in the region. I think you will be very happy with the service. Remember to use a VPN if you want to sign up from the United States. 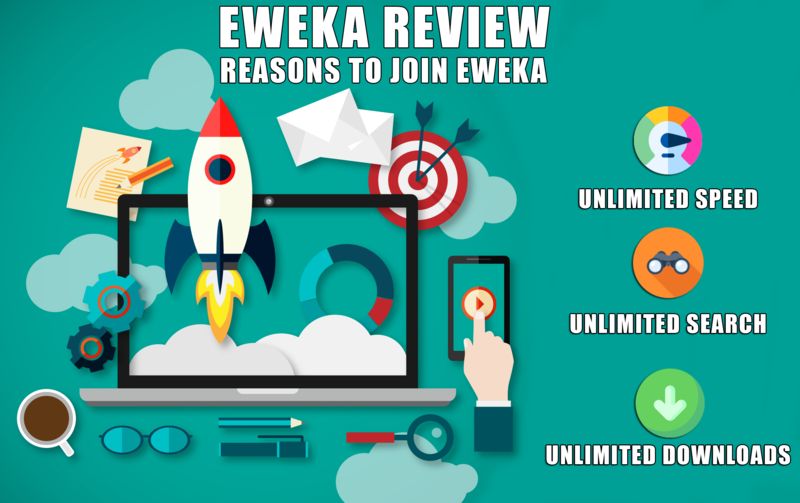 After signing up you can easily connect to Eweka from anywhere in the world. 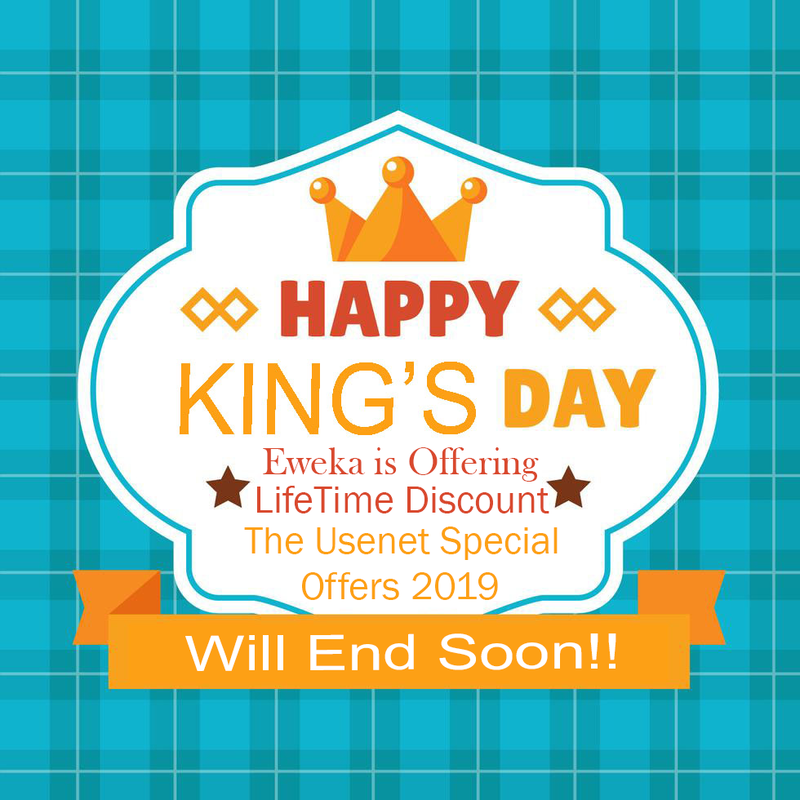 Thanks to Eweka team for offering our visitors a special discount on their 100 Mbit plan.